A few months ago I worked for two days at Saigon Children’s Charity. Together with filmmaker Vincent Doubrere we came up with a concept for a 2 minute video. I wasn’t there for the final execution and I see a lot of room for improvements, but I’m very proud of the hard work, free time and amazing effort everybody put into this great project. The entire budget to make this film was $600,- and was payed by an anonymous sponsor. Thank you, thanks everybody who donated their free time to make this happen and a very special thanks to the children who participated. The video shows the dreams of Vietnamese children and will be used at fundraising events to tell potential sponsors about the great work that SCC does. Let’s hope this will help thousands of children in need. Saigon Children’s Charity – Draw your Dreams from Mark van der Heijden on Vimeo. 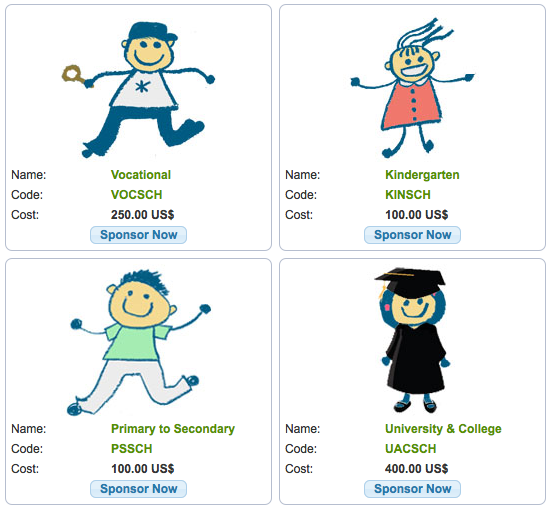 There are different ways to sponsor a child. With the donated money SCC provides books, notebooks, uniforms, and art supplies, as well as rice and other nutritional support. The goal is to meet as many of the children’s needs as possible so that they and their families may better focus on their development. With your help we can make the lives of thousands of children better. ‘Every little bit will make a difference in the bigger picture’. In the future I will help out more charities and NGO’s so if you are a filmmaker, production company, artist or just someone who wants to help, let me know!